When you walk into any land-based online casino, you are generally greeted with a myriad of bright and shiny slot machines situated on the floor. The situation is no different when it comes to the online casino industry as online slots are actually forming the centerpiece of every online casino vendor. This comes as no surprise considering the fact that online slots are super fun to play, very engaging and most importantly, they can yield some generous riches. Online casino players from Canada, the United Kingdom, and other European countries can definitely enjoy a great number of online slots which become better and better. Nowadays, they commonly cover a wide range of different themes, they come packed with better graphical and visual solutions and they offer more generous prizes than they used to offer. Besides offering generous payouts, another very attractive thing about online slots is how super easy and hassle-free they are to play. Due to their very simple gameplay, players get to actually focus on the game’s graphics, animations and stories. The majority of online slots work in the same way. They feature a certain number of paylines and reels with symbols included arranged on spinners. The main goal is to hit the same symbols in order to receive a payout. Some games come packed with special symbols usually wilds and scatters which doubtlessly add more fun to every game. When it comes to online slot games available to players from Canada, the United Kingdom, and Europe in general, they usually have a wide range of different options available. There is no modern online casino operating in the industry which does not offer a rich online slots library. Thanks to the popularity of online gambling in Canada, the United Kingdom and Europe, players get to choose from hundreds of different slot titles. In order to help them make their decision on what to play, we have devised our list including top ten slots for the UK, Canada, and Europe in 2019. Starburst running on the NetEnt software is definitely one of the most popular slots of all times. The game’s developer is definitely one of the most prominent names operating in the industry, so there is no wonder why Starburst impresses by its visuals and gameplay in general. This jewel-themed game comes packed with 5 reels and 10 paylines. The majority of the symbols featured in the game are neatly rendered, shiny jewel and gem symbols which come in different colors including purple, yellow, green, orange and blue. In addition to these symbols, the game also features several traditional symbols including bar signs and sevens. When it comes to its bonuses, there is a valuable wild symbol which once landed on the three middle reels expand bringing players up to three re-spins. 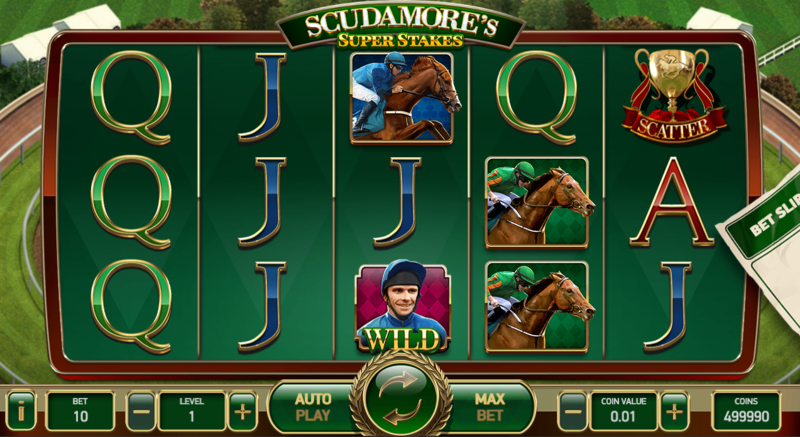 Scudamore’s Super Stakes is another visually appealing, neatly rendered NetEnt release packed with 5 reels and 20 fixed paylines. With the very first spin on this game, players will actually find themselves in the middle of one interesting horse racing competition. In fact, the entire game is designed with a horse racing-theme in mind. Hence, the game’s backdrop depicts one horse racing track in the distance while its sound effects include galloping tunes which definitely add more to the game. The main attraction of the game is its Bet Slip feature during which players actually play with a great bet multiplier with another feature named Peter’s Classic Cup. During this mode, players can actually scoop winning worth up to 5.000x their stake. In addition to these bonus features, the game is also packed with a free spins mode. Big Time Gaming definitely did a truly impressive job with its Bonanza game. 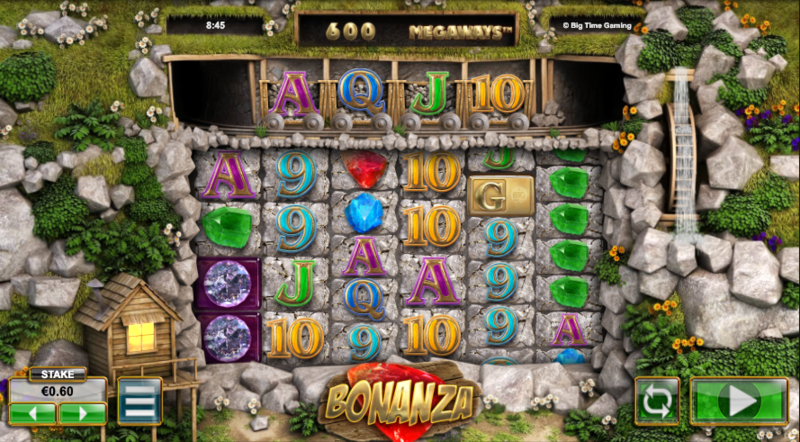 Bonanza is a visually appealing, neatly rendered game packed with 6 reels which uses the Big Time Gaming Megaways gaming engine. Thanks to this feature, the game actually boasts up to 117.649 winning combos. Looking from an aesthetical point of view, the game looks great with neatly rendered symbols and an interesting mine-alike backdrop. What makes the game so popular is its Megaways gaming engine which actually allows plenty of consecutive winnings during the gameplay. There is also a valuable wild symbol which once landed on the reels replaces regular symbols on the reels. Moreover, landing four or more of these symbols on the same spin triggers the game’s free spins mode offering 5 or 10 free spins initially. With the Book of Dead game powered by the Play’n GO software, players get to travel back in time to ancient Egyptian ruins which definitely hide some generous riches. This highly appealing, beautifully polished Play’n GO release comes packed with 5 reels and 10 paylines. From a visual point of view, the game looks amazing while its epic sounds playing in the back definitely add more to the gameplay. In terms of its bonuses, the game is no less impressive. The main attraction of the game is actually its bonus free spins mode which players trigger as soon as they land three or more of the game’s wild/scatter symbols. The best thing about this mode is that it can be re-triggered by landing additional bonus symbols on the reels. The game also features an amazing 250.000-coin jackpot while landing five wild symbols during the base game brings players wins worth up to 5.000x their stake. Gonzo’s Quest is another neatly polished NetEnt release which most certainly deserves its spot on this list. With this game, players get to follow Gonzo on his amazing journey towards the lost city featuring lucrative riches and other surprises. As players head to Eldorado, they come across neatly rendered symbols dancing across 5 reels and 20 paylines as depicted in the game. In addition to featuring remarkable animations and superb graphics, the game is also truly rewarding. It features the Avalanche Reels gaming engine thanks to which players can score plenty of consecutive winnings during their gameplay. The main attraction of the game is its Free Falls bonus mode players trigger as soon as they land three or more of the game’s Scatters on the reels. Once there, they receive 10 free spins as well as generous winning multipliers. 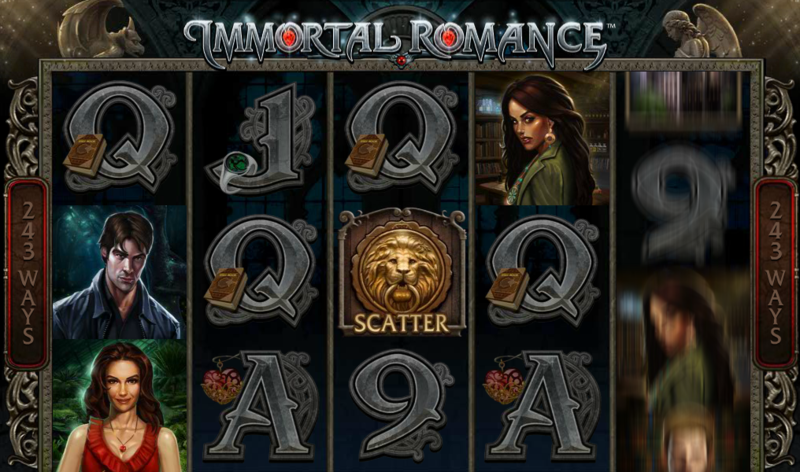 Immortal Romance is an interesting, visually appealing, vampire-themed Microgaming release packed with 5 reels and 243 paylines. In terms of its looks, the game definitely impresses thanks to its beautifully designed symbols depicting vampire characters which appear alongside other theme-related symbols. The game is also packed with an interesting haunting soundtrack which perfectly matches its theme. When it comes to the game’s bonus features, players will not be disappointed either. There is a wild symbol thanks to which players can score more winnings. During the gameplay, players can also turn all five reels into wild reels thanks to the game’s Wild Desire bonus mode. In addition to these bonus features, Immortal Romance also comes packed with four different free spins modes which offer between 10 and 25 free spins with valuable bonus extras such as winning multipliers. 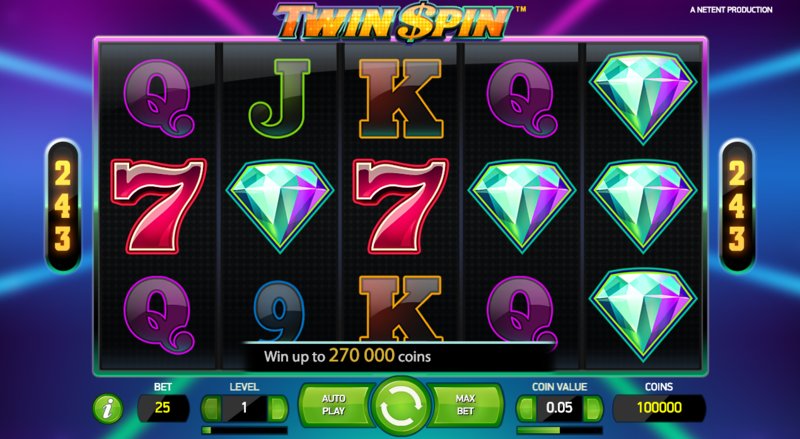 Twin Spin is another extremely rewarding NetEnt release packed with 5 reels and 243 paylines. The game is actually one of the fruit-themed games packed with traditional, old-school symbols such as the lucky seven, bar signs, golden bells and cherries which dance across the reels. The most valuable symbols depicted in the game is its diamond symbol that can bring up to 1.000 coins for five matching symbols landed on the reels. The game is also packed with a valuable wild symbol which appears on the three middle reels replacing other regular symbols. Things become even more interesting when the reels of the game expand as they turn at least three reels into complete matchers. During this process, Twin Spin can actually deliver some spectacular rewards. 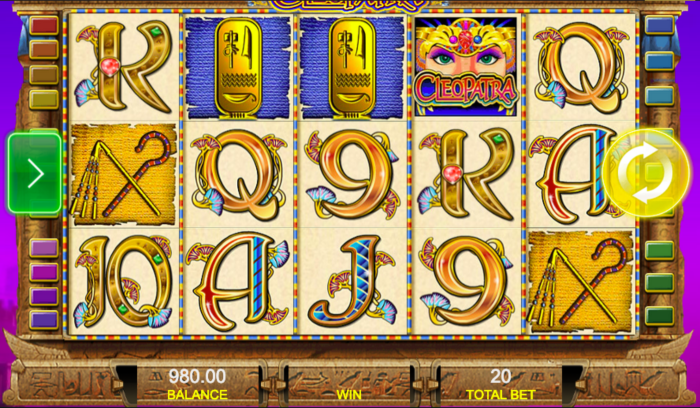 Cleopatra is one of the most popular classic slots which runs on the IGT software. 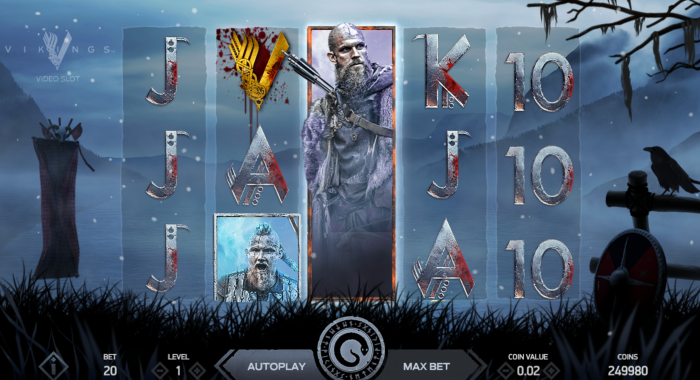 The game comes packed with 5 reels and 20 paylines packed with valuable wild symbols which can double players’ winnings when they are a part of winning combos. In terms of its looks, the game is neatly rendered even though its graphics and animations may appear a bit dated. As suggested by the game’s title, it takes players on a rewarding virtual journey set in ancient Egyptian tombs which definitely hide some generous riches. The main symbols of the game include scarab beetles, the eye of Horus, lotus flowers as well as Cleopatra herself which appears alongside standard playing cards which act as the game’s lower-valued symbols. The main attraction of the game is its free spins mode triggered by landing three or more of the game’s scatter symbols on the reels. 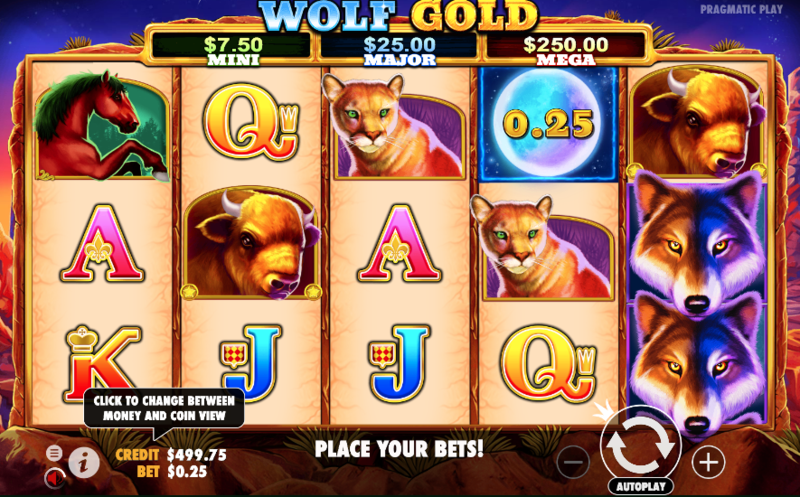 Wolf Gold is another neatly rendered, visually appealing video slot which is brought to players by Pragmatic Play. 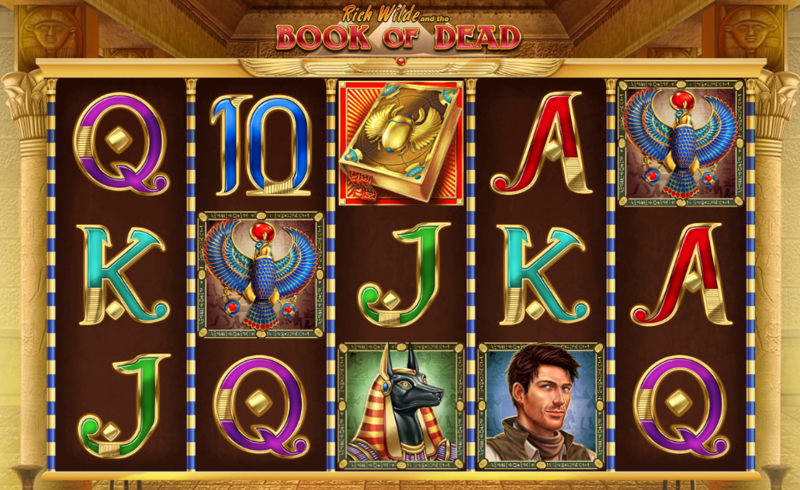 The game features 5 reels and 25 paylines boasting an interesting Native American theme. Following the game’s theme, its reels are set against a massive desert canyon while its symbols included feature stallions, desert foxes and other theme-related symbols. As players head to those American west wilds, they also get to take advantage of the game’s generous bonus features. 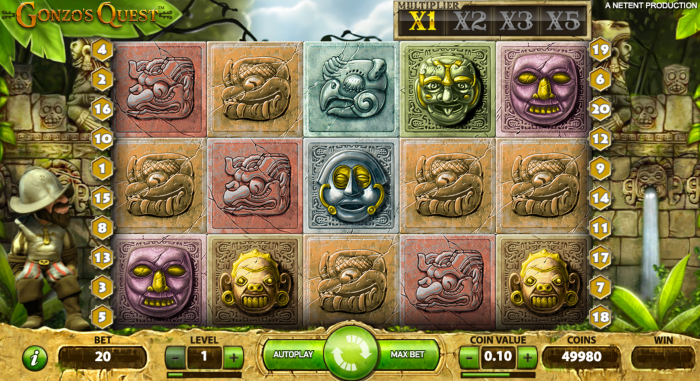 One of those bonus features is the game’s free spins mode which players trigger by landing three or more of the game’s scatter symbols on the same spin. The game also features another generous bonus mode named the Money Respin feature which as suggested offers plenty of re-spins. NetEnt most certainly did an impressive job with their highly rewarding Vikings slot. The game comes packed with 5 to 7 reels and 243 or 78.125 paylines. The game is inspired by the iconic television show and it comes packed with breathtaking animations and superb graphics. As players hop on this virtual journey, they join Ragnar, Lagertha, Bjron, and Floki on their epic adventure. In terms of its bonuses, the game truly impresses. There is an interesting Hotspot mode during which main Viking symbols transform into triggering symbols bringing more generous scatter pays. There is also an interesting randomly triggered mode named Shield Wall mode during which the game’s mystery symbols turn into one matching symbol. The game is also packed with bonus spins during which the game introduces 7 reels with 78.125 paylines which actually allow winnings up to 10.000x players’ stake. Since online slots are definitely among the most popular online casino games around, the UK, Canadian and European players, in general, have a variety of options available. Before you invest your real money, you should definitely do your research regarding your chosen online casino’s regulations and licensing. In order to avoid making any mistakes, one idea is to check our list of top-rated online casinos available to you. Registering at these venues definitely comes with many perks including extremely rich gaming libraries which include all slots described above.